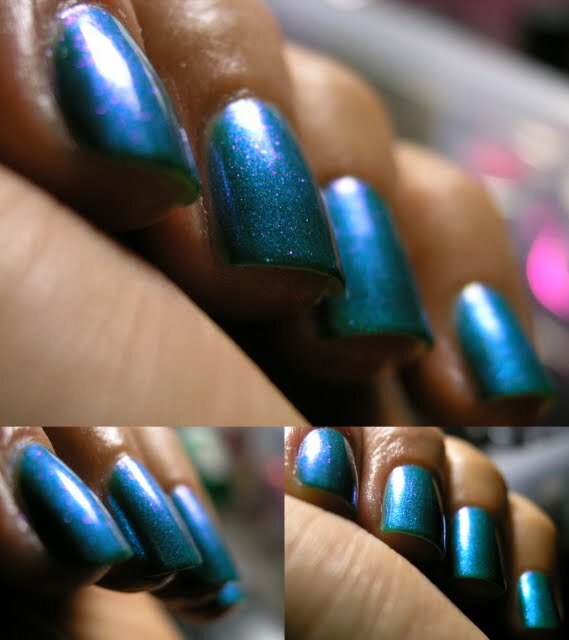 I had to show you some of the extra pictures that I took trying to capture the pink shimmer that this polish has, hence the following picture! and changed the shimmer a little bit. I layered Martini Pedicure (which I have yet to try solo). So now it is a glass flecked shimmery concoction. I LOVED IT! And with this February is over! This year is flying by! As a side note... Who let the Dorks out! 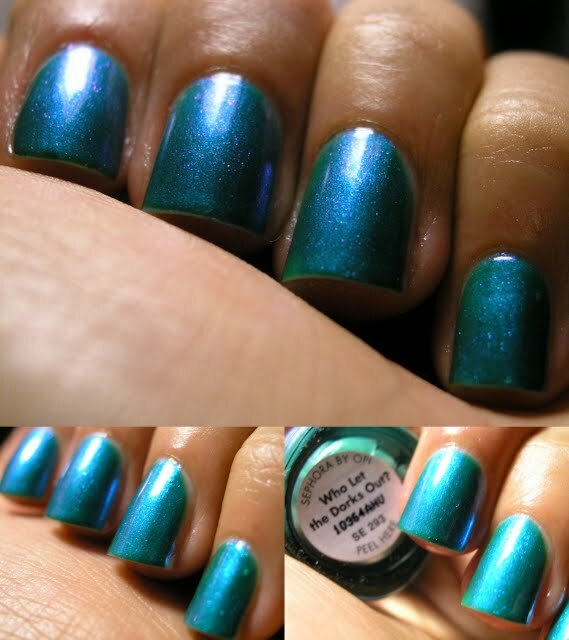 Is very similar to the new blue in the OPI Texas collection. They looked the same in the bottle. Same color and same pink flash. So I didn't bother picking up the Texas one.